The demand for a capable, stylish pick-up truck and Nissan’s “M.O.V.E. to 2022” goal of worldwide sustainable growth has prompted the automaker to begin production of its Frontier model in Cordoba, Argentina. President of Argentina Mauricio Macri and Argentine senior government representatives including the Governor of the Cordoba Province Juan Schiaretti, along with Nissan Motor Co., Ltd. executives — President and CEO Hiroto Saikawa, Nissan Latin America Chairman Jose Luis Valls, Managing Director of Nissan Argentina Diego Vignati, and President of Renault Argentina Luis Fernando Pelaez Gamboa — gathered together at a ceremony marking the Frontier’s official production kick-off on July 30. 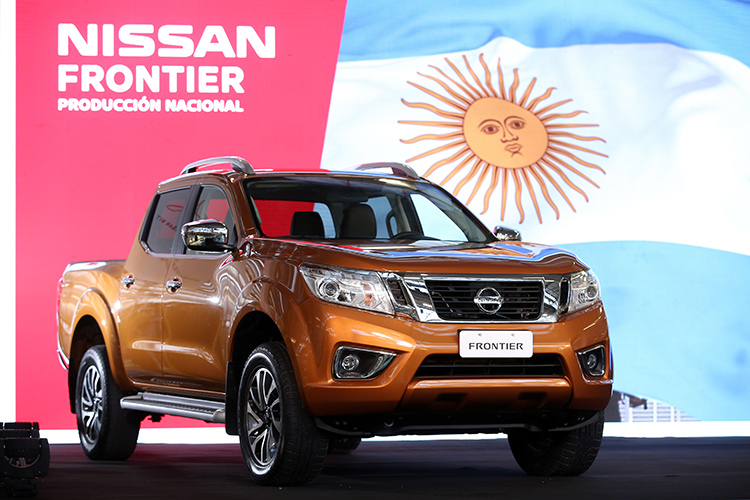 Production of the Frontier in Argentina will create 2,000 indirect and 1,000 direct jobs and require a $600 million investment in specialized manufacturing equipment. With Nissan’s production presence in Argentina, the automaker extends its global reach, which already extends to countries including Mexico, Spain, China, and Thailand. In the U.S., the 2018 Nissan Frontier is available at five trim levels: S, SV, SL, Desert Runner, and Pro-4X. The available 4.0-liter V6 engine is paired to a five-speed automatic transmission. This powertrain is capable of 261 horsepower and 281 lb-ft of torque.